Hi, my name is Vanessa and I’m super excited to be sharing this super easy gift with the lovely readers of Eighteen25! Every year, despite my best intentions, a few gifts fall through the cracks and I’m left scrambling to put together some last-minute options. 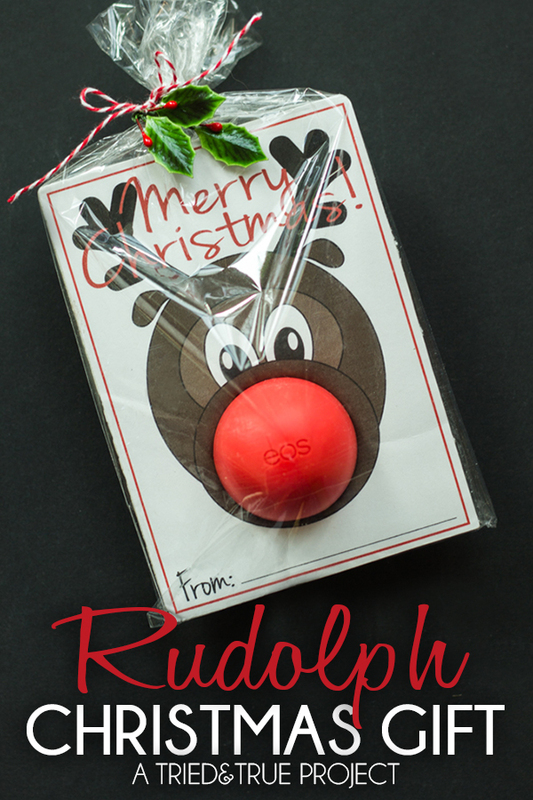 This year I’m planning ahead by stocking up supplies for these “Merry Kissmas” Lip Balm Gifts! The necessary materials list couldn’t be easier! 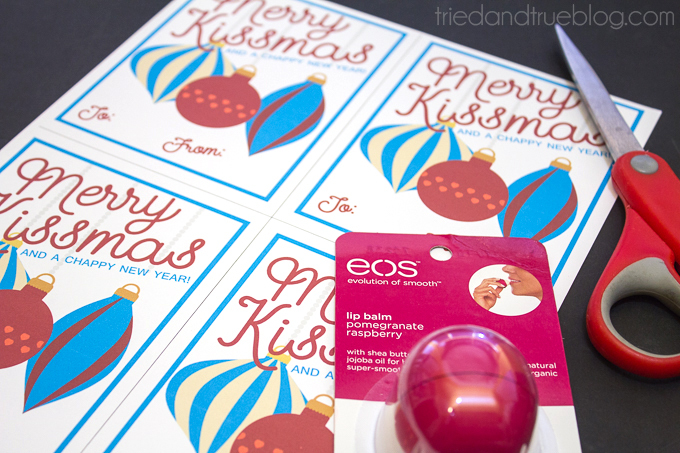 All you need is the “Merry Kissmas” Free Printable on triedandtrueblog.com, an EOS Lip Balm , and some scissors. How handy is this 8-pack of EOS Pomegranate Raspberry ? Eight gifts for about 3 bucks each? Perfect for any holiday budget! To assemble the Merry Kissmas Lip Balm Gift, just use your scissors to carefully cut out the center circle and then sandwich the paper in between the lip balm container. 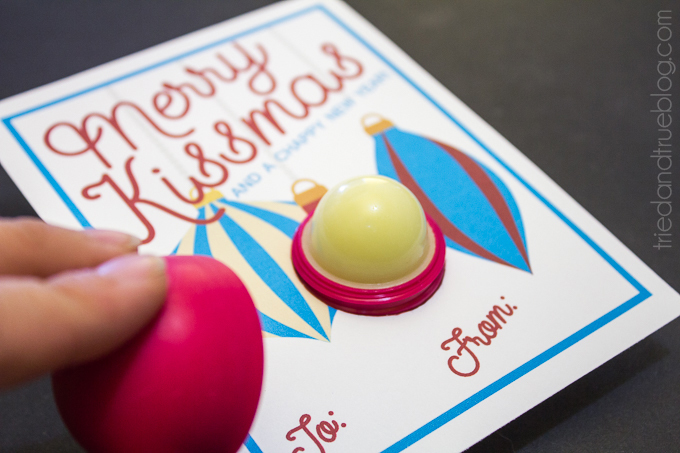 If you’re uncomfortable with opening up the lip balms before gifting, you could always leave them in their containers and just the use the printable as a card. And there you have it! A super cute gift that’s inexpensive and easy to make. Does it get any better? 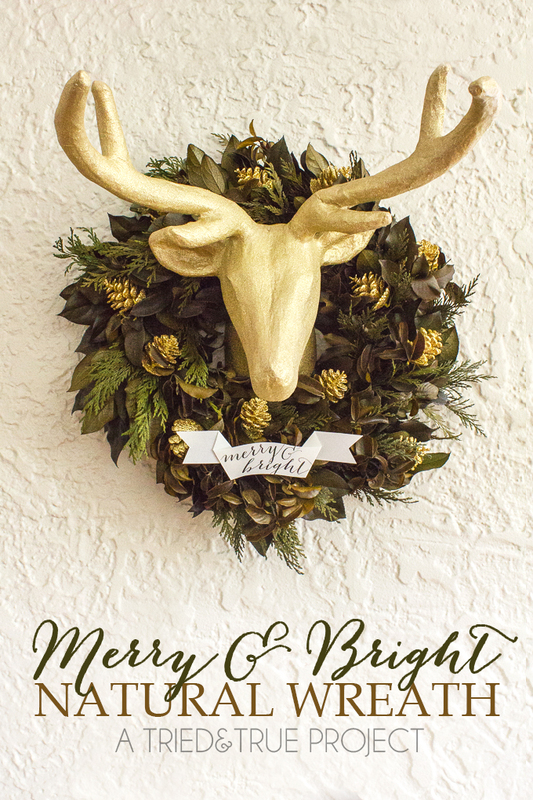 Make sure to visit Tried & True to download the “Merry Kissmas” Free Printable and to check out all my holiday projects!